Custom full size ad design for Argosy Casino. The ad was placed in the stadium program for the Chicago Cubs during the 2005 season at Wrigley Field. 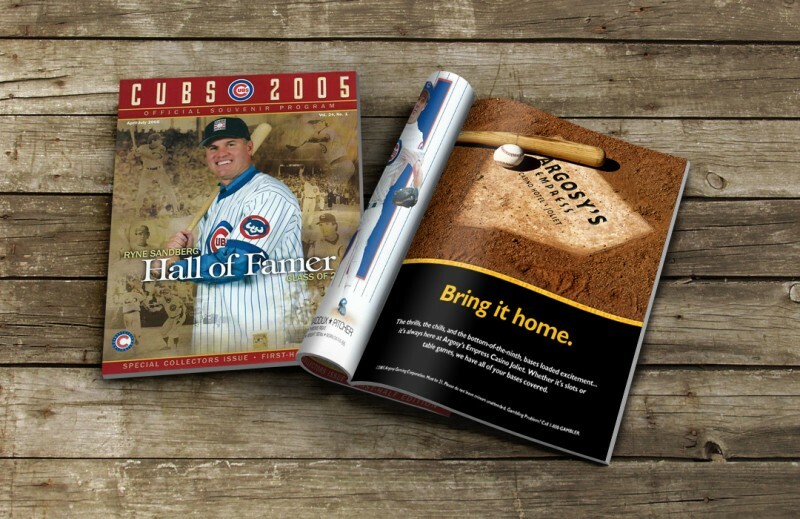 The stadium program is a special collector issue featuring Chicago Cubs hall of fame legend, Ryne Sandberg.